Read below to learn more about our history and get to know our company Founder and President, Barie Shaqiri. Barie has been working as an Interpreter/Translator since 1983. She was born in Macedonia in the city of Manastir also known as Bitola. She completed 6th grade in the United States and then moved back to Macedonia again. She moved back to the United States for 10th, 11th and 12th grade. She graduated in 1977 from Fordson High School, located in Dearborn, Michigan. 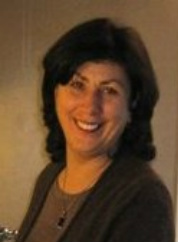 In 1978, she moved to Kosovo, where she completed her Bachelor’s Degree in English Language and Literature. She taught English as a Foreign Language (EFL) for 8 years while living in Kosovo. Baria was recruited by the Institute of Economy (IE) to work on a long term translation project that lasted a duration of two years. The documentation requiring translation was related to pre-feasibility studies that an IE Engineering firm was doing from Zurich, Switzerland and was completed in 1986. The completed document was 170 pages in length and was translated from Albanian to English. Barie was also employed by the Academy of Sciences in Prishtina prior to her move back to the U.S. in 1991. Upon her move back stateside, Barie chose to continue to pursue her passion of Interpreting/Translating. In 2000, she formed her own Interpreting and Translating company for all languages. In 2006 she also formed a Transportation Company (personal injury and worker’s compensation cases); the two sister companies complement each other. Interpreter & Translator Services, Inc.
INTERPRETER TRANSLATOR SERVICES, INC. was founded in 2000 by accredited interpreter, notary, and EFL teacher Barie Shaqiri. Interpreter Translator Services, Inc. (ITS, Inc.) was created to assist and provide relief to the growing influx of refugees and political asylum seekers that started immigrating to the United States in the 1990’s from the Balkans as a result of the Yugoslav Wars. The Yugoslav Wars were a series of wars fought in Yugoslavia in the 1990s between the republics that sought sovereignty on one side and the government in Belgrade on the other side that wanted to either prevent their independence or keep large parts of that territory under its control. The wars were complex: characterized by bitter ethnic conflicts among the peoples of the former Yugoslavia, mostly between Serbs (and to a lesser extent, Montenegrin's) on one side and Croats and Bosnians (and to a lesser degree, Slovenes) on the other; but also between Bosnians and Croats in Bosnia (in addition to a separate conflict fought between rival Bosnian factions in Bosnia). It is estimated that some 300,000 people were displaced by the Balkan conflicts of the 1990's. These displaced people were allowed asylum by the U.S. government as refugees. These refuges were uprooted from the life they knew and forced to relocated to a new country in which few spoke the language. ITS, Inc. was created for the sole purpose of providing assistance and much needed help to these displaced refugees and asylum seekers in order to help them adjust to a fresh start and new way of life in the United States. All asylum-seekers requesting political asylum had to follow steps and procedures that ensured a smooth transition into the United States; a great deal of paperwork and formal meetings with federal personnel were necessary to properly go about the the asylum claims process. Without a qualified interpreter and or translator, asylum seekers ran the risk of having their claims for asylum status rejected. These rejected claims were an all to frequent occurrence that created a backlog of paperwork that kept family members apart until the proper papers could be refiled (also a lengthy and tedious process). ITS, Inc. ensured that such errors were avoided and the company's attention to accuracy assisted in expediting these claims to ensure that loved ones still stuck overseas were reconnected with family members already residing the United States, thus reducing some of the stress felt by refugees. A great deal of the work performed by ITS, Inc. was performed on a pro bono basis (this practice still continues today due to our founders selfless devotion to those in need). Thus, rather than possessing a profit driven mission, the mission of ITS, Inc. was and continues to be a humanitarian one. ITS, Inc.'s customer service centered philosophy continues to guide the work that we do. We value a human connection and see our customers as our family and friends since it was the needs of our family and friends that prompted the creation of our company. ITS TRANSPORTATION, INC. was founded in 2006. It began its operation in conjunction with its sister company Interpreter Translator Services, Inc.
ITS Transportation, Inc. provides services for Non-Emergency Medical Transportation and Airport Transportation. We service the TRI-County and vicinity.